The European Commission has proposed new EU-wide rules this Monday which aim to reduce plastic pollution in cities and oceans by banning several plastic products. These measures target the 10 single-use plastic products most often found on Europe's beaches and seas, as well as lost and abandoned fishing gear. The amount of harmful plastic litter in oceans and seas grows every year and it accounts for 70% of trash in the ocean. The proposal will ban any single-use plastic item for which a non-plastic alternative is readily available and affordable. This will apply to plastic cotton buds, cutlery, plates, straws, drink stirrers an balloon sticks, which will all have to be made exclusively from more sustainable materials. The Commission also aims to limit the use of those products without straight-forward alternatives, through a national reduction in consumption. Meanwhile, producers will have to help cover the costs of clean-up and waste management for items such as food and drinks containers, cigarette butts, wet wipes, or lightweight plastic bags. They also need to label certain products, indicating how waste should be disposed, the negative environmental impact of the product, and the presence of plastics in the products. Additionally, member states will be obliged to collect 90% of single-use plastic drinks bottles used in their countries by 2025. For fishing gear, which accounts for 27% of all beach litter, the Commission wants the producers to cover the costs of waste collection from port reception facilities and its transport and treatment. They will also cover the costs of awareness-raising measures. 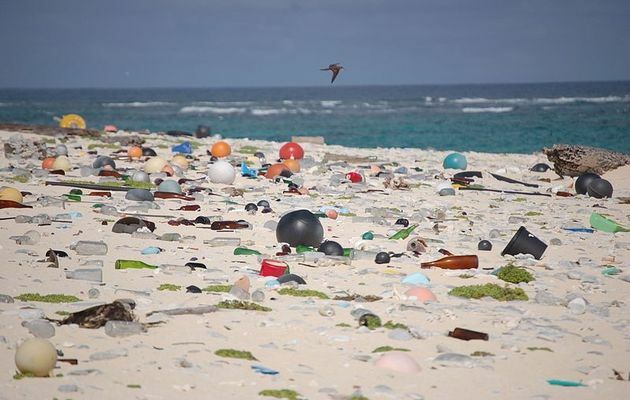 “Plastic waste is undeniably a big issue and Europeans need to act together to tackle this problem, because plastic waste ends up in our air, our soil, our oceans, and in our food”, First Vice-President Frans Timmermans, responsible for sustainable development said. Vice-President Jyrki Katainen, responsible for jobs, growth, investment and competitiveness, believes that “plastic can be fantastic, but we need to use it more responsibly. Single use plastics are not a smart economic or environmental choice”. The proposal “will help business and consumers to move towards sustainable alternatives. This is an opportunity for Europe to lead the way, creating products that the world will demand for decades to come, and extracting more economic value from our precious and limited resources”, he added. The Commission's proposals will now go to the European Parliament and Council for adoption. The Commission “urges the other institutions to treat this as a priority file, and to deliver tangible results for Europeans before the elections in May 2019”. On 5 June, World Environment Day, the Commission will also launch an EU-wide awareness-raising campaign to put the spotlight on consumer choice and highlight individual people's role in fighting plastic pollution and marine litter.